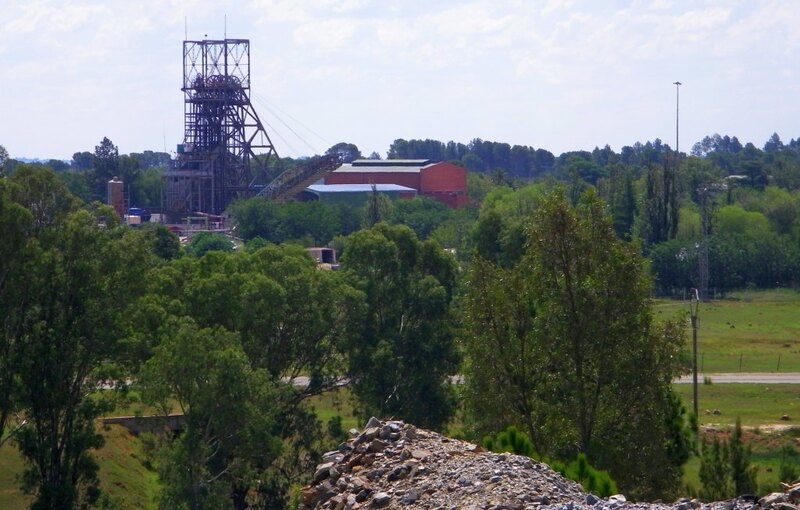 A gold mining town in the Free State. 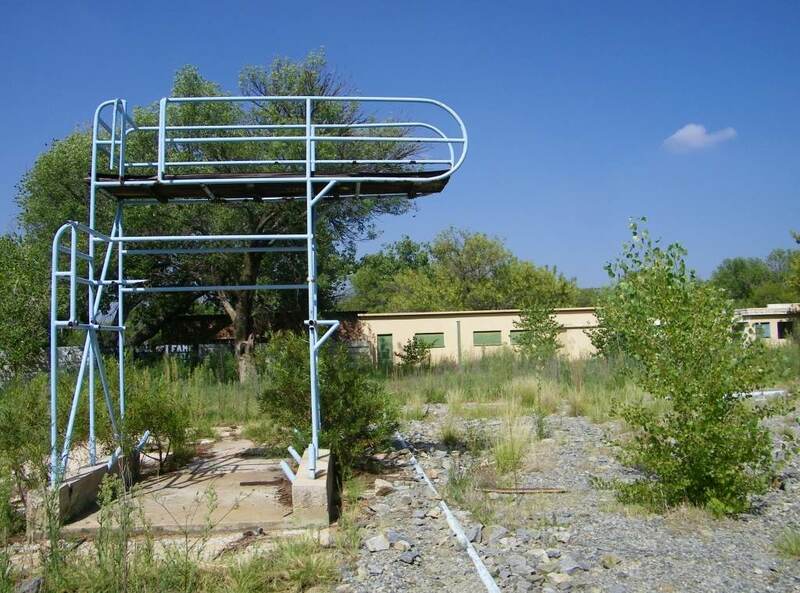 It was here that the first borehole was sank which eventually established the viability of gold mining in the Free State gold field. The town was established as a gold mining town by the local mine, Loraine, in 1947. A typical mining village at the time where all property belonged to the mine including the recreational fascilities, 'the Club'. This changed when it became fashionable for the big companies to concentrate on their core competency, which in this case is mining and not estate management. All the houses were sold off to employees and others. I am not sure when that was, I assume in the 1990th. And houses are still being sold, prices are very reasonable, as low as R200k. We noticed a number of empty houses and some of them, by the looks of it, have been empty for some time and vandalised. One of them was subjected to a closer inspection, it was on a large stand, had a swimming pool, but some of the door frames have been broken out, all the electrical wiring is gone and is in a general state of neglect. It's one of my dreams to pick up a house like this cheap and to fix it up, but that will be a dream, age is against it. The club is still there, it doesn't look very active and the swimming pool is gone. Completely gone, that means filled in and unusable. It was filled in by the residents after a child drowned in the unattended pool. 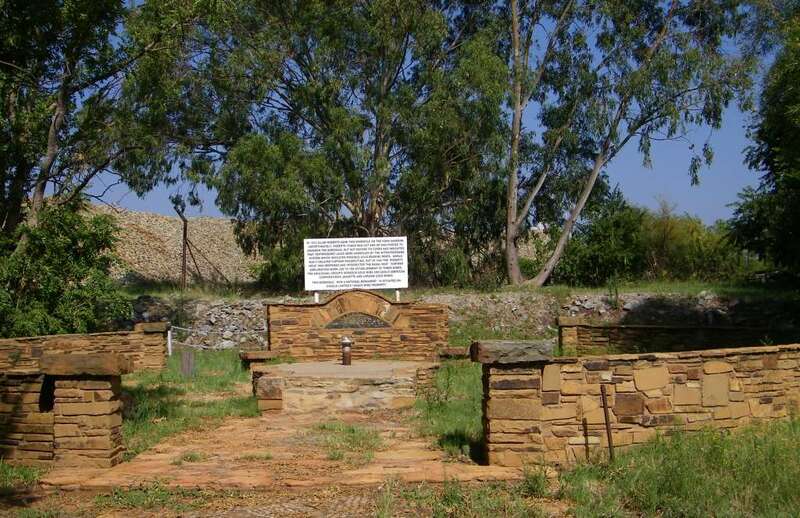 The site is a national monument and it was the first bore hole drilled in the area to find the gold reef. It was initiated by the partnership of Allan Roberts and Emmanuel Jacobson. Its because of Allan that the place is called Allanridge. The drilling commenced in 1933 but the whole process started much sooner. 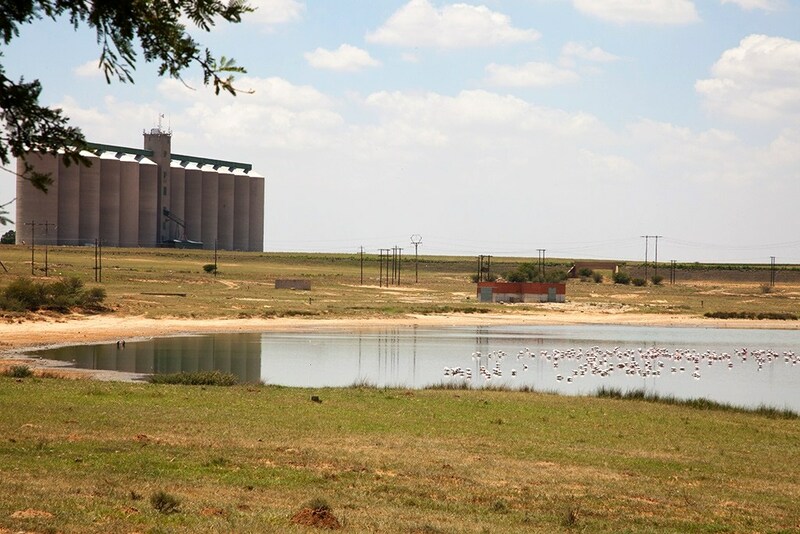 Following the half circle of the gold mines of the Witwatersrand extending to Evander and Nigel in the East and Klerksdorp and Orkney in the west and extending this into the Free State gave the prospectors something to look out for. 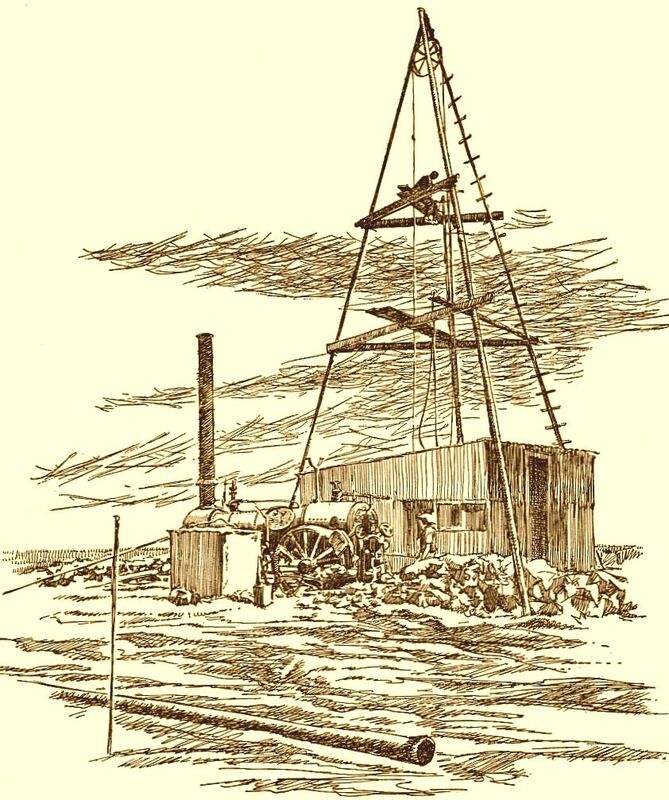 It was already in 1904 that Archibald Megson had sunk a prospecting shaft of 100 feet, finding some gold, but not enough to get the mining companies excited enough to want to explore further. He had selected that spot because of an outcrop that had the looks of the Witwatersrand reefs. It was Allan Ridge and Emmanuel Jacobson that picked up the story and on advice of H.Radecliffe-Browne, a mining consultant and former government mining engineer, started drilling a hole 80 feet to the north of the shaft. By trade Allan was a dental technician and Emmanuel a solicitor, what made them into prospectors? I think, just the excitement of gold. And to side track a bit, in my opinion these are the real heroes of South Africa, people like them who through their economic activity gave the country a push forward. So, they drilled and drilled and eventually ran out of money, they had to stop at 4064 feet. On the way down they found some gold but again not sufficient. When the hole was deepened after some years it struck it rich after only another 400 feet. Loraine mine was born. Now that was real urban exploration, because this place is empty, unoccupied and guarded by a security team. We gained access through our communication skills. 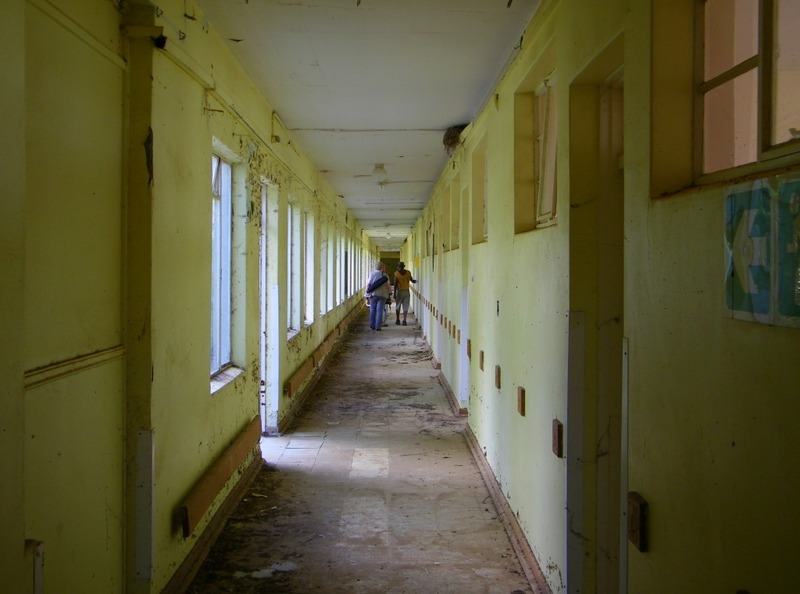 This was the Allanridge Chest hospital, it had 650 beds for TB patients and a psychiatric ward. It was opened in 1979 and closed its doors in 2000, I am not sure why. It was privately owned by the Lifecare group. In my opinion not a nice shopping center, its just a square block with shops on the outside. Not much the architect should be very proud of. 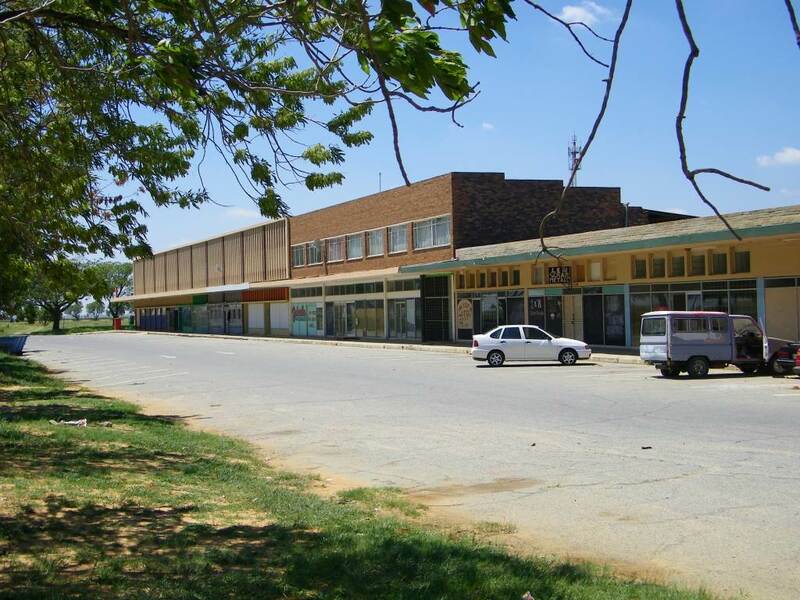 Many of the shops are empty, obviously a depressed town, economically. On the map it's called Stinkpan, no idea why its called that. We found this lovely lake partially filled with flamingoes, very nice to look at.